Kitterlin Creek Outfitters is a all inclusive hunting club where members can just show up and hunt! This property is situated on over 4,000 acres of prime hardwood bottoms teeming with whitetail deer, waterfowl, turkeys, and small game. This sportsman's paradise is bordered by more than 11 miles of the scenic little river & less than 5 miles from Catahoula lake one of the nation's waterfowl richest lakes. At Kitterlin Creek we provide and maintain all duck blinds,Deer stands,feeders & food plots. Not to mention our four lakes Walker lake, Lehman lake, Kitterlin bay, and Fools river all have excellent fishing for bass, Bream, and Crappie. Our private RV park is located on the banks of the beautiful Lehman lake, water, sewer, and electric available. 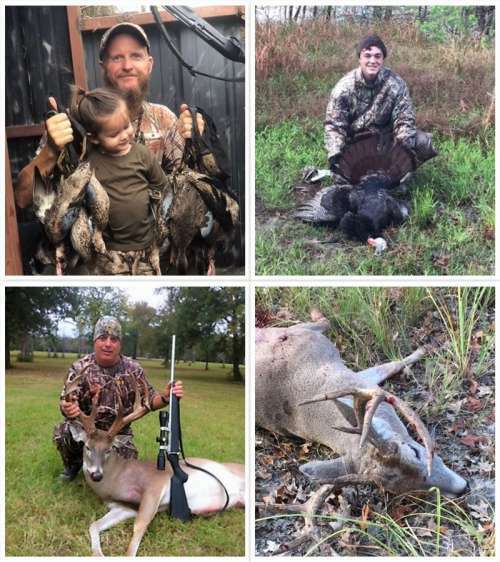 Whether you're a business looking for a place to bring clients or a individual looking for a special place to hunt, fish, and enjoy the outdoors with family and friends KITTERLIN CREEK OUTFITTERS IS THE PLACE FOR YOU!